Continuing from last week’s quick and easy hairdos… Here’s one that you will need to practise a little bit, but once you’ve got it, it’s fast, easy and impressive. So, for my version, I just did the 4-strand slide-up braid on both sides, and tied it back. I love this one because it looks a bit unusual and makes people look twice. You will need reasonably long hair for this one, a bit below shoulders, to be ably to have long enough braids to ”slide up”. 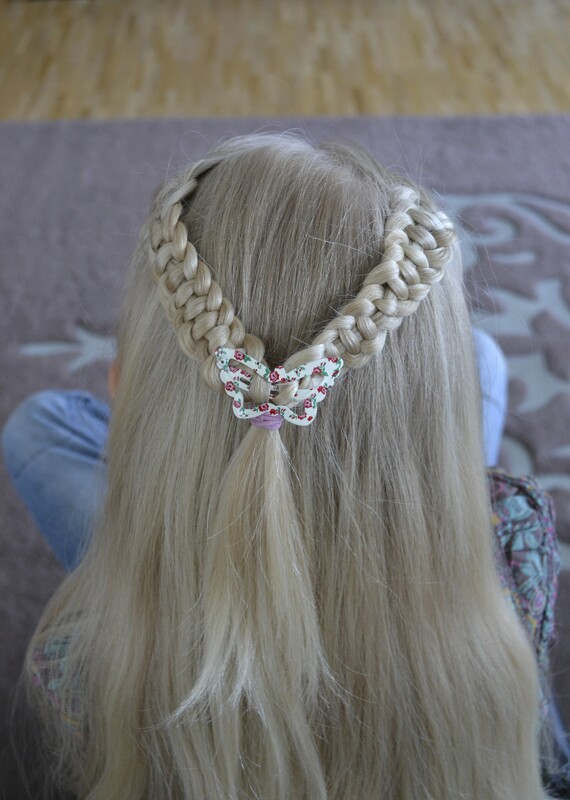 Also, the problem with smaller kids is, that the hair easily sticks out from the middle, but to prevent that, you could tie all the hair and the little braid into a low ponytail at the back.